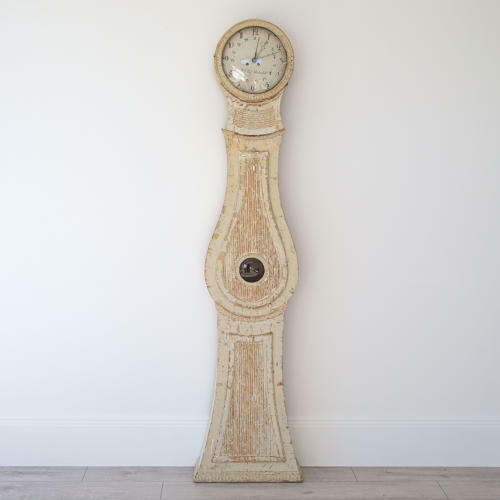 A very fine, elegant and richly carved Gustavian period long case clock, dry scraped by hand to reveal its beautiful original 18th century colour. This clock has its original working mechanism, pendulum, cast iron weights and the movement has been professionally serviced. Swedish circa 1790.